Celebrating the life of Calvin O. Bridgeforth, Sr.
Obituary for Calvin O. Bridgeforth, Sr.
Calvin Othello Bridgeforth, Sr. was promoted to glory on Saturday morning October 6, 2018. He was born on June 29, 1940, the first of 5 siblings born to the union of James and Harriet Bridgeforth. He attended Spring Hill Church and at an early age gave his life to Jesus Christ. He played football and graduated from Luther H. Foster High School in 1959, and then attended Virginia State College for two years and received an associate degree. He married his high school sweetheart Jeanne Laree Fowlkes of Crewe, Va on September 1, 1962 and off to New York they went. From this union were born two sons, Calvin Jr and Dennis. Calvin started working downtown in New York City with Baumgold Wholesale Jewelers where he worked as a diamond sorter. He progressed through the ranks and became the Quality Control person for all of the diamonds and precious stones that came through the company, and after 38 years he retired. While he was working and for a while thereafter, Calvin enjoyed his job so much that he found a way to share his love of jewelry with family and friends. He was known to have some fine pieces of jewelry for the family to have a little shopping time when he came and even had a few jewelry parties for us and our co-workers and friends so that we could buy really nice quality jewelry at an affordable price. Calvin loved to travel, and loved to take road trips, it was nothing for he and the family to hop in the car and make a trip out of state and especially back home to Crewe and Blackstone to visit family and friends multiple times a year. Cal was adventurous and could give you details and facts on history events, and he had a great interest in Black history information. When you visited New York, you would get the tour of the famous New York sights and of course the best places to eat, the beach and whatever was fun to do. He knew the right places to go and he enjoyed every moment of every day, rain or shine, with Calvin “it’s a good day”. Calvin was also the best professional amateur photographer you could meet. Always had a camera to “capture the moments” and has an extensive collection of family and friends of over a span of 40-50 years captured in pictures. If you needed a photo, ask Uncle Calvin…and he could find it in all his photos. He enjoyed his weekends with the fellas while they took time to shoot the breeze and wash and wax their cars. Calvin enjoyed life to the fullest, and I don’t believe he ever met a stranger because he was interested and engaging with most everyone he met. He always had something good to say to you and about you that would make you smile. Calvin Bridgeforth was and is an “unforgettable” man. He was the light in the room at any gathering, full of love, joy and laughter. To celebrate his life, he leaves his loving wife of 56 years, Jeanne Bridgeforth of Bronx, NY; his sons Calvin Bridgeforth Jr. (Nina) of Keysville, VA and Dennis Allen Bridgeforth of Crewe, VA; grandson, Dennis Bridgeforth, Jr (Anna) and great granddaughter Annabella of Greensboro, NC. ; sisters, Marie Fitzgerald (Bernard) and Doretha Greenhill (Simon); brother, James Bridgeforth (Barbara) Blackstone, VA; sister-in-law, Dorinda Bridgeforth; three aunts, Emma Anderson of Chesapeake, VA, Barbara Evans of Richmond, VA and Thelma Evans; one uncle, William Evans of Richmond, VA; In-laws Annie Alex (Charles) of Newport News, VA, Joyce Campbell (William) of Upper Marlboro, MD, Sereda Fowlkes of Alexandria, VA, James Fowlkes of Newport News, VA, Waverly Fowlkes (Margaret) of Crewe, VA, Alma Fowlkes of Los Angeles, CA; and a numerous list of aunts, uncles, nieces and nephews - great and grand, cousins and friends. 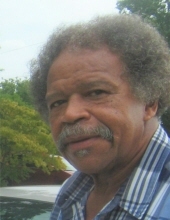 To plant a tree in memory of Calvin O. Bridgeforth, Sr., please visit our Tribute Store. "Email Address" would like to share the life celebration of Calvin O. Bridgeforth, Sr.. Click on the "link" to go to share a favorite memory or leave a condolence message for the family.